Dakhla Oasis (Egyptian Arabic: الداخلة‎‎ El Daḵla , pronounced [edˈdæxlæ]), translates to the inner oasis, is one of the seven oases of Egypt's Western Desert. Dakhla Oasis lies in the New Valley Governorate, 350 km (220 mi.) from the Nile and between the oases of Farafra and Kharga. It measures approximately 80 km (50 mi) from east to west and 25 km (16 mi) from north to south. The human history of this oasis started during the Pleistocene, when nomadic tribes settled sometimes there, in a time when the Sahara climate was wetter and where humans could have access to lakes and marshes. But about 6,000 years ago, the entire Sahara became drier, changing progressively into a hyper-arid desert (with less than 50 mm of rain per year). However, specialists think that nomadic hunter-gatherers began to settle almost permanently in the oasis of Dakhleh in the period of the Holocene (about 12,000 years ago), during new, but rare episodes of wetter times. In fact, the drier climate didn't mean that there was more water than today in what is now known as the Western Desert. 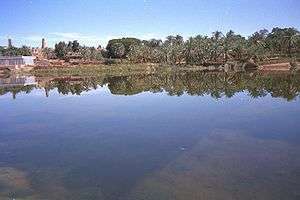 The south of the Libyan Desert has the most important supply of subterranean water in the world through the Nubian Aquifer, and the first inhabitants of the Dakhla Oasis had access to surface water sources. In the third millennium BC lived here people that were most likely nomads and are called the Sheikh Muftah culture. The first contacts between the pharaonic power and the oases started around 2550 BCE. During the late 6th Dynasty, hieratic script was sometimes incised into clay tablets with a stylus, similar to cuneiform. About five hundred such tablets have been discovered in the governor's palace at Ayn Asil (Balat) in the Dakhla Oasis. At the time the tablets were made, Dakhla was located far from centers of papyrus production. These tablets record inventories, name-lists, accounts, and approximately fifty letters. The fortified Islamic town of Al Qasr was built at Dakhla Oasis in the 12th century probably on the remains of a Roman era settlement by the Ayyubid kings of Egypt. The first European traveller to find the Dakhla Oasis was Sir Archibald Edmonstone, in the year 1819. He was succeeded by several other early travellers, but it was not until 1908 that the first egyptologist, Herbert Winlock, visited Dakhla Oasis and noted its monuments in some systematic manner. In the 1950s, detailed studies began, first by Dr. Ahmed Fakhry, and in the late 1970s, an expedition of the Institut Français d'Archéologie Orientale and the Dakhla Oasis Project each began detailed studies in the oasis. Dakhla Oasis consists of several communities, along a string of sub-oases. The main settlements are Mut (more fully Mut el-Kharab and anciently called Mothis), El-Masara, Al-Qasr, Qalamoun, together with several smaller villages. Some of the communities have identities that are separate from each other. Qalamoun has inhabitants that trace their origins to the Ottomans. Dakhla Oasis has a hot desert climate (Köppen climate classification BWh), typical of much of Egypt. The Dakhleh Oasis Project (DOP) is a long-term study project of the Dakhleh Oasis and the surrounding palaeoasis, initiated in 1978 when the Royal Ontario Museum and the Society for the Study of Egyptian Antiquities were awarded a joint concession for part of the Oasis. In 1979, the Centre for Archaeology and Ancient History at Monash University began to cooperate in the project. The DOP studies the interaction between environmental changes and human activity in the Dakhleh Oasis. The director of the DOP is Anthony J. Mills, former curator at the Royal Ontario Museum. The excavations at Ismant el-Kharab (ancient Kellis), Mut el-Kharab (ancient Mothis), Deir Abu Metta and Muzawwaqa are undertaken with the cooperation of Monash University, under the direction of Gillian E. Bowen. Bowen and Colin Hope, also of Monash, are the principal investigators at Ismant el-Kharab. The DOP has also excavated at 'Ain el-Gazzareen, El Qasr el-Dakhil, Deir el Hagar and Ain Birbiyeh. As well as the Dakhleh Trust, formed in 1999 to raise money for the DOP, organizations which have supported or participated in the DOP include: the Royal Ontario Museum, the Society for the Study of Egyptian Antiquities, Monash University, the University of Durham, the University of Toronto, Columbia University, the American Research Centre in Egypt, the Egyptology Society of Victoria and New York University. In addition, excavations are undertaken at Amheida under the direction of Roger S. Bagnall. These were originally conducted under the auspices of Columbia University, but are currently conducted for New York University. Excavations are also underway at Balat under the auspices of the IFAO under the direction of Georges Soukiassian in conjunction with the Ministry for State Antiquities. The Dakhleh Trust was formed in 1999 and is a registered charity in Britain. Its declared aim is to advance understanding of the history of the environment and cultural evolution throughout the Quaternary period in the eastern Sahara, and particularly in the Dakhla Oasis. To this end, the present trustees have committed themselves to supporting the DOP. Wikimedia Commons has media related to Dakhla Oasis. 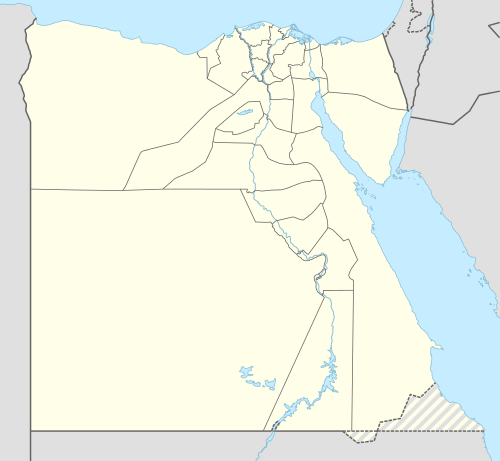 Wikimedia Commons has media related to Al-Qasr, Egypt. 1 2 3 4 5 "Dakleh Oasis Projects, Arts, Monash University". Monash University. September 24, 2010. Retrieved 2011-02-08. ↑ Posener-Kriéger 1992; Pantalacci 1998. ↑ Parkinson and Quirke 1995:20. ↑ "Dakhla Climate Normals 1961–1990". National Oceanic and Atmospheric Administration. Retrieved January 17, 2016. ↑ "Appendix I: Meteorological Data" (PDF). Springer. Retrieved January 17, 2016. ↑ "SSEA Dakleh Oasis Project". Society for the Study of Egyption Antiquities. 2006. Retrieved 2011-02-08. ↑ "Ismant el-Kharab, ancient Kellis". Monash University. November 12, 2010. Retrieved 2011-02-08. ↑ "Excavations at Mut el-Kharab, Dakhleh Oasis". Monash University. December 9, 2010. Retrieved 2011-02-08. ↑ "Deir Abu Metta and Muzawwaqa, Dakhleh Oasis". Monash University. November 5, 2010. Retrieved 2011-02-08. ↑ "'Ain el-Gazzareen". Dakhleh Trust. 2005. Retrieved 2011-02-08. 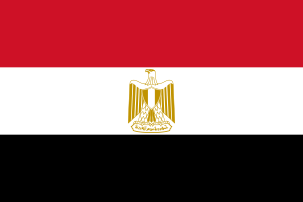 ↑ "El Qasr el-Dakhil". Dakhleh Trust. 2005. Retrieved 2011-02-08. ↑ "Deir el Hagar". Dakhleh Trust. 2005. Retrieved 2011-02-08. ↑ "Annual Report 2008, Ain Birbiyeh Temple Project" (PDF). Monash University. Retrieved 2011-02-08. ↑ NYU. "NYU Excavations at Amheida". Retrieved 2011-02-08. Boozer, A. “Archaeology on Egypt’s Edge: Archaeological Research in the Dakhleh Oasis, 1819-1977” in Ancient West & East: 12: 117-156. 2013. Fakhry, A. The Oases of Egypt, I : Siwa Oasis, Le Caire, Amer. Univ. in Cairo Press. Fakhry, A. The Oases of Egypt, II: Bahriyah and Farafra Oases, Le Caire, Univ. in Cairo Press, c. 2003. Giddy, L. Egyptian Oases: Bahariya, Dakhla, Farafra and Kharga during Pharaonic Times, Warminster, Aris & Philips, 1987. Jackson, R. At Empire’s Edge: Exploring Rome’s Egyptian Frontier, New Haven et Londres, Yale University Press, 2002. Thurston, H. Island of the Blessed : the Secrets of Egypt’s Everlasting Oasis, Toronto, Doubleday, 2003. Vivian, C. The Western Desert of Egypt: an explorer’s handbook, AUC Press, le Caire, 2000. Wagner, G. Les oasis d’Égypte à l’époque grecque, romaine et byzantine, d’après les documents grecs, Le Caire, Recherches de papyrologie et d’épigraphie grecques, 1987.